Interviews are a pre-requisite to any job placement. It is good to acquaint one to the types of interviews and what they involve. Most job seekers experience the general, one-on-one interview style, but some companies follow other forms of screening processes that entails a combination of interviews. Whatever the style may be, one must remember that the end-result is the same and be it ant form, it is important to maintain your cool and remember why you have come there. Telephonic interviews: a telephonic interview gives an opportunity to HR members / Recruiters to save time and call the right candidates for further rounds of interview hence is a preferred interviewing technique nowadays. A telephonic interview may include both professional and personal questions. It is also to test the confidence level of the candidate. For jobs in the HR sector this is the preferred method of interviewing because the job entails a lot of business over the phone and the interview is a perfect way to assess the candidate. The telephonic interview is designed to screen out less qualified applicants. One can expect a call outside of normal business hours too. Make sure that the environment you are in i.e., home, office, is quiet. Have all the requisite information at hand by the phone if needed. Consider standing while speaking because one's voice will sound stronger and more confident. One-on-one interview: one-on-one interviews can be carried out in a variety of ways. Normally the interviewer and candidate are in a room facing each other while the interview is conducted. The questioning process is what can be a little different. Structured interview: all questions are preplanned and the interviewer proceeds in an orderly fashion taking down notes etc to compare with other candidates. Sequential interview: the candidate would have one-on-one interviews with many people one after the other. The trick is to handle each round as a fresh interview and not succumb to stress or fatigue. Behavioural interviews: Many companies increasingly rely on behavior interviews since they use your previous behavior to indicate your future performance. In these interviews, employers use standardized methods to mine information relevant to your competency in a particular area or position. Questions will be asked of the candidate to describe how he or she would handle certain circumstances or how the candidate has done things in the past. The candidate may be asked to act out a real-life situation. An example would be a sales presentation. If given a choice of selling something in the room, the candidate could choose him or herself. Anticipate the transferable skills and personal qualities that are required for the job. Case interview: The case interview is employed primarily by management-consulting firms, as well as investment-banking companies, and is increasingly being used by other types of corporations as at least part of the job-interviewing process. In a case interview the candidate is given a case study of any situation and is graded or assessed on basis of his/her response to the case. Practice extensively before undergoing a case interview. Use books and Web sites in our resources section for practice cases. Listen carefully to the question. Paraphrase it back to the interviewer to ensure your understanding. Practice extensively before undergoing a case interview. Use books and Web sites in our resources section for practice cases. Listen carefully to the question. Paraphrase it back to the interviewer to ensure your understanding. Remember that rarely is there one "right" answer for analyzing a case. Your process for reaching your conclusions is equally important to the interviewer as is the conclusion itself. Don't be afraid to ask questions. The case interview is meant to be interactive, with lots of back and forth between you and the interviewer. Construct a logical framework with which to explore the critical issues of the case. Many of the principles you learned in the classroom can serve as a framework. Don't be afraid to think outside the box. Creativity and brainstorming may be just what the interviewer is looking for. Employment agency screening: these interviews are conducted by external agencies hired by companies to save time and effort. 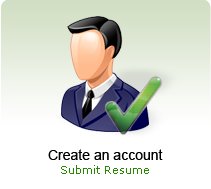 The company supplies the agency with the basic requirements for the job profile they are advertising for. These companies then hold interviews for a number of candidates and after the initial screening process their names are given to the company in question. Informational interview: A meeting that you initiate, the informational interview is underutilized by job-seekers who might otherwise consider themselves savvy to the merits of networking. Job seekers ostensibly secure informational meetings in order to seek the advice of someone in their current or desired field as well as to gain further references to people who can lend insight. Employers that like to stay apprised of available talent even when they do not have current job openings, are often open to informational interviews, especially if they like to share their knowledge, feel flattered by your interest, or esteem the mutual friend that connected you to them. During an informational interview, the jobseeker and employer exchange information and get to know one another better without reference to a specific job opening. Come prepared with thoughtful questions about the field and the company. You can gain references to other people and make sure that the interviewer would be comfortable if you contact other people and use his or her name. Give the interviewer your card, contact information and resume. Stress interview: a stress interview is the most feared interviewing technique. Often ruthless and demanding, candidates more than often cannot keep up with this interviewing technique. 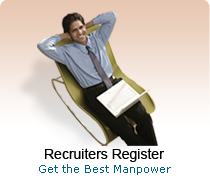 Hence companies prefer this style to test the candidates' performance under duress. A stress interview can be handled in a myriad of ways and can often begin much earlier than the actual meeting with the interviewer. You might be held in the waiting room for an hour before the interviewer greets you. You might face long silences or cold stares. The interviewer might openly challenge your beliefs or judgment. You might be called upon to perform an impossible task on the fly-like convincing the interviewer to exchange shoes with you. Insults and miscommunication are common. All this is designed to see whether you have the mettle to withstand the company culture, the clients or other potential stress. Remember that this is a game. It is not personal. Even if the interviewer is rude, remain calm and tactful. Go into the interview relaxed and rested. If you go into it feeling stressed, you will have a more difficult time keeping a cool perspective. Audition-type interview: if you are applying for a demonstrative job like computer programmers the company will want to see you in action before they make their decision. For this reason, they might take you through a simulation or brief exercise in order to evaluate your skills. An audition can be enormously useful to you as well, since it allows you to demonstrate your abilities in interactive ways that are likely familiar to you. The simulations and exercises should also give you a simplified sense of what the job would be like. If you sense that other candidates have an edge on you in terms of experience or other qualifications, requesting an audition can help level the playing field. Clearly understand the instructions and expectations for the exercise. Communication is half the battle in real life, and you should demonstrate to the prospective employer that you make the effort to do things right the first time by minimizing confusion. Brush up on your skills before an interview if you think they might be tested. Group interview: Interviewing simultaneously with other candidates can be disconcerting, but it provides the company with a sense of your leadership potential and style. The group interview helps the company get a glimpse of how you interact with peers-are you timid or bossy, are you attentive or do you seek attention, do others turn to you instinctively, or do you compete for authority? The interviewer also wants to view what your tools of persuasion are: do you use argumentation and careful reasoning to gain support or do you divide and conquer? The interviewer might call on you to discuss an issue with the other candidates, solve a problem collectively, or discuss your peculiar qualifications in front of the other candidates. This environment might seem overwhelming or hard to control, but may also work in your favour. Observe to determine the dynamics the interviewer establishes and try to discern the rules of the game. If you are unsure of what is expected from you, ask for clarification from the interviewer. Treat others with respect while exerting influence over others. Keep an eye on the interviewer throughout the process so that you do not miss important cues. Mealtime interview: mealtime interviews may sound challenging but can often be fun. The interviewer invites the candidate out for a meal, mostly lunch and then the interview is conducted during the meal. The company finds ample opportunity to assess the candidate over a meal. Particularly when your job requires interpersonal acuity, companies want to know what you are like in a social setting. Are you relaxed and charming or awkward and evasive? Companies want to observe not only how you handle a fork, but also how you treat your host, any other guests, and the serving staff. It is very important to maintain professional as well as dining etiquette during a mealtime interview. Take cues from your interviewer, remembering that you are the guest. Do not sit down until your host does. Order something slightly less extravagant than your interviewer. If he badly wants you to try a particular dish, oblige him. If he recommends an appetizer to you, he likely intends to order one himself. Do not begin eating until he does. If he orders coffee and dessert, do not leave him eating alone. If your interviewer wants to talk business, do so. If she and the other guests discuss their upcoming travel plans or their families, do not launch into business. Choose manageable food items, if possible. Avoid barbeque ribs and spaghetti. The chances of a table disaster increase exponentially with these foods. Thank your interviewer for the meal. If he doesn't mention anything about the job in question while parting, neither should you. Wait patiently for his phone call. Follow-up interview: Companies bring candidates back for second and sometimes third or fourth interviews for a number of reasons. Sometimes they just want to confirm that you are the amazing worker they first thought you to be. Sometimes they are having difficulty deciding between a short-list of candidates. Other times, the interviewer's supervisor or other decision makers in the company want to gain a sense of you before signing a hiring decision. The second interview could go in a variety of directions, and you must prepare for each of them. When meeting with the same person again, you do not need to be as assertive in your communication of your skills. You can focus on cementing rapport, understanding where the company is going and how your skills mesh with the company vision and culture. Still, the interviewer should view you as the answer to their needs. You might find yourself negotiating a compensation package. Alternatively, you might find that you are starting from the beginning with a new person. Be confident. Accentuate what you have to offer and your interest in the position. Be prepared for anything: to relax with an employer or to address the company's qualms about you.